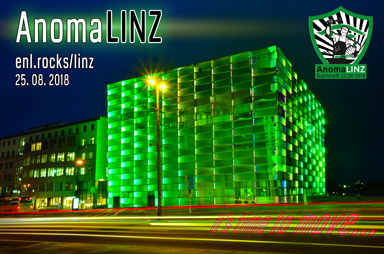 We'll play together as teams, visiting Linz from many cities around the world. We'll meet, play and have fun all day long. Please register as soon as possible and wait to be verified. This website is intended for the registration and verification of all Enlightened agents. If you don't know what that means, you probably aren't playing Ingress. Please login to confirm your identity. If you have multiple accounts for Google, please use the one you are most active with in Google+ communities. © 2015-2017 for the Enlightened - Ingress Fan site. Not officially affiliated with Ingress or Niantic Labs.